A colorful celebration of Hungary’s culture! – Beautiful Balboa Park! A colorful celebration of Hungary’s culture! 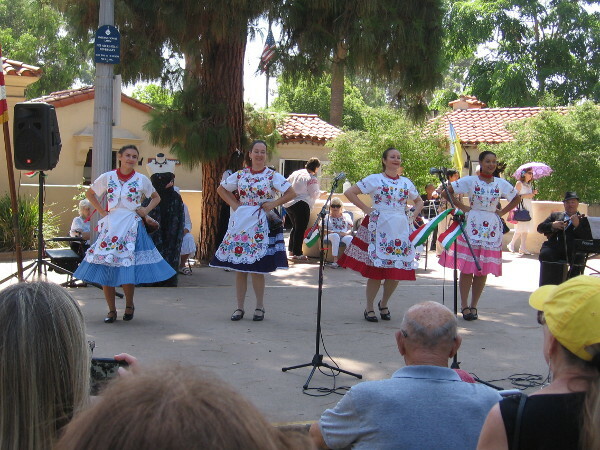 Hungarian folk dance on stage at the House of Hungary lawn program in Balboa Park. 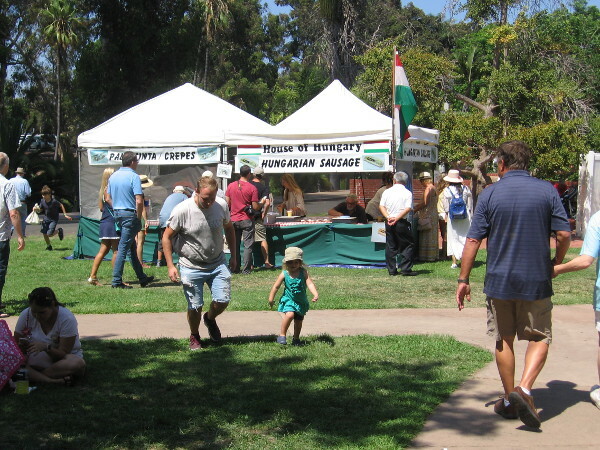 This afternoon I caught a bit of the House of Hungary’s lawn program at the International Cottages in Balboa Park. While I didn’t sample any of the Hungarian food (having previously eaten a big lunch), I did feast my eyes and ears on Hungarian culture, including traditional music, singing, dance, costume, and even a short but fascinating talk about fashion, for which Hungary is historically famous. This annual celebration takes place on or about August 20, a national holiday in Hungary that memorializes the first King of Hungary, King Stephen I. Stephen was canonized by the Catholic Church, and his feast day is celebrated on the same day. 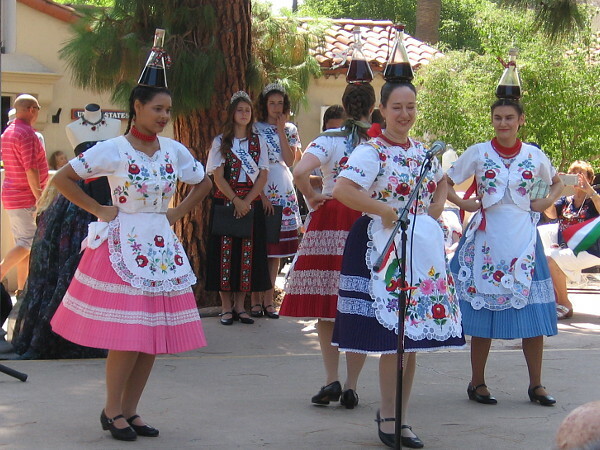 The Kárpátok Hungarian Dance Ensemble entertains the audience with a traditional bottle dance. The proud flag of Hungary could be spotted here and there in the crowd. 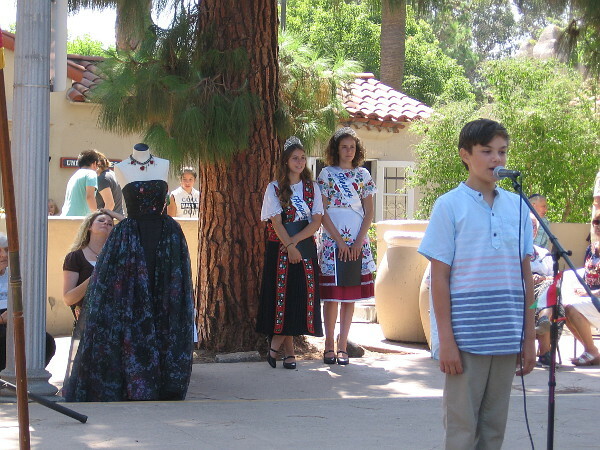 A fashion designer and beauty queens await their turn on stage as a young man sings a Hungarian folk song. 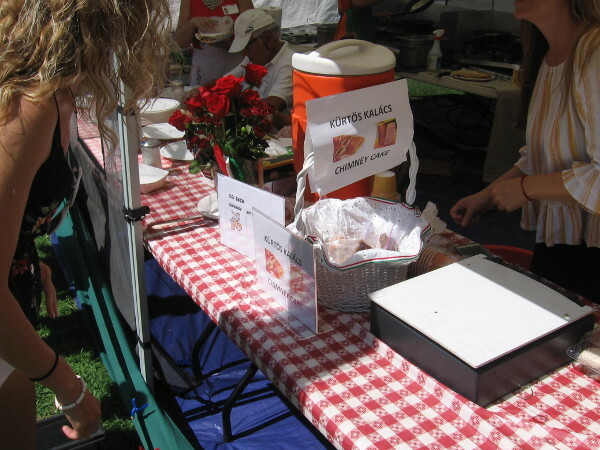 Hungarian food at the program included sausage sandwiches, crepes (palacsinta), fried dough (lángos) and authentic Hungarian pastries. People enjoyed eating sweet Kürtőskalács, which is also referred to as chimney cake. 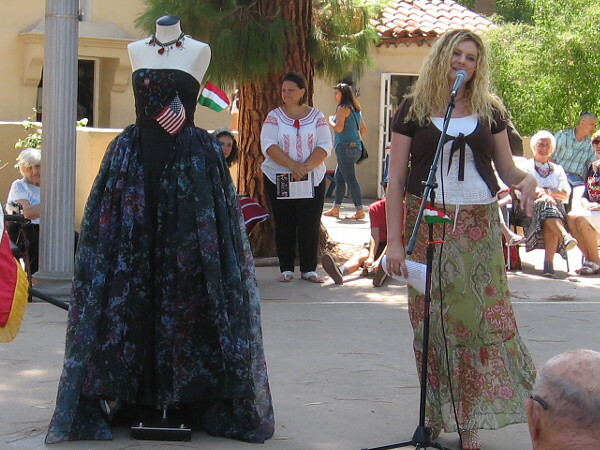 San Diego Continuing Education fashion instructor Tammie Pontsler talks about an award-winning dress she made for the Salk design challenge. 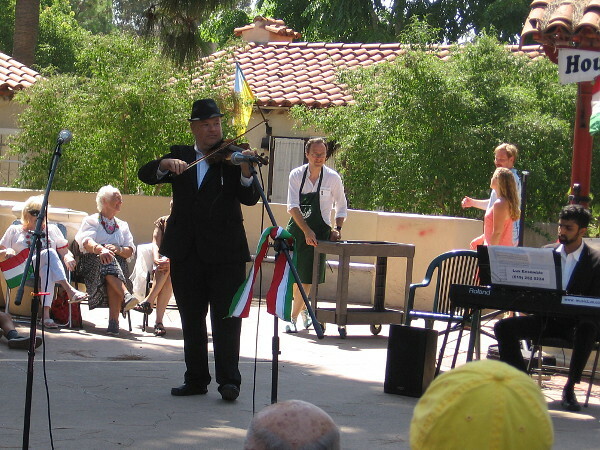 Violinist from the Lux Ensemble entertains everybody with happy Hungarian music. 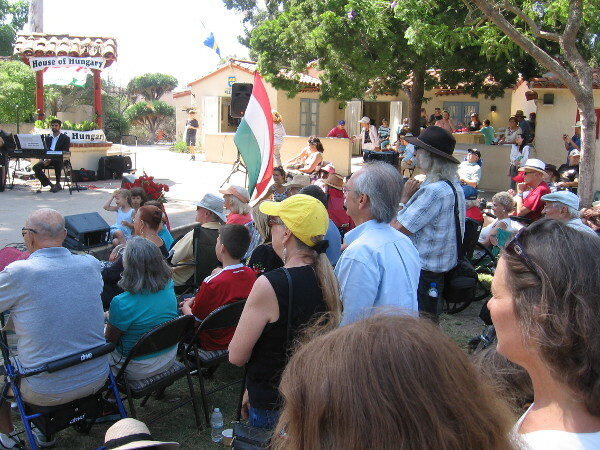 The culture of Hungary is celebrated in Balboa Park at the International Cottages! Looks like fun. 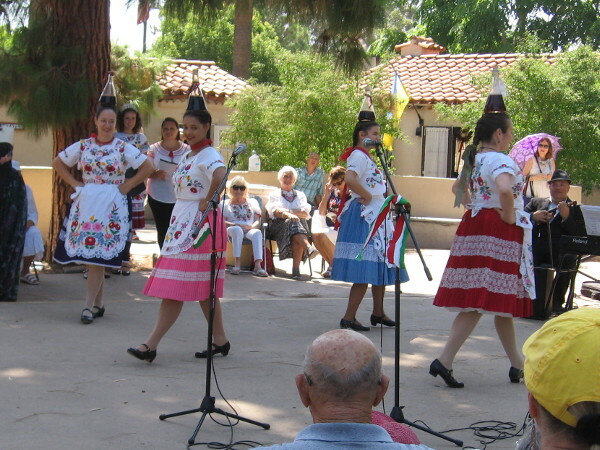 I enjoy those celebrations and programs at the International cottages…haven’t been in awhile though. Previous Previous post: Balboa Park artwork near Santa Fe Depot. Next Next post: House of Hospitality courtyard garden replanted!